Jolene Dashut, is a registered Legal Document Assistant (LDA), and a pioneer in the self-help law movement. California Divorce Council (CDC) was established in 1972 shortly after California became a “No Fault” state for divorce. 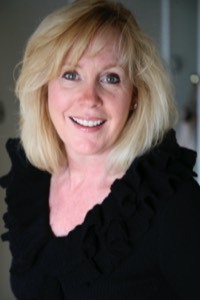 Jolene (Joey) joined the firm in 1977, and became the owner in 1985. She has since helped thousands of couples represent themselves in uncontested matters. She received her Paralegal Certificate in 1986 from the University of Southern California Law School, and an Associates degree from Los Angeles Valley College, and taken mediation training at the Ventura Center for Dispute Resolution. Ms. Dashut is a member and past Conference Chairperson of the California Association of Legal Documents Assistants, former member of the Coalition for Collaborative Divorce, is a Founding member of the Alliance of Divorce Professionals, and has done volunteer work for the Los Angeles Paralegal Association. An acknowledged and highly respected professional, she has been cited as an expert in articles appearing in the Los Angeles Times, the Los Angeles Business Journal, the Ventura County Star, and the Daily News.